We are leading traders of Strapping. Our Strapping has higher tensile strength and it is lighter in weight than steel straps. Strapping cannot be affected by corrosion or rust and is therefore the ideal material to replace steel strap. Strapping is used in a number of industries. Strapping is mainly used in corrugated box manufacturing industry as it is more reliable and does not cause any damage to the box while shifting. Storing becomes easy as the strapping compresses the box allowing more box to be stored in less space. Strapping gives better look while delivering to the consumers than plastic twine. 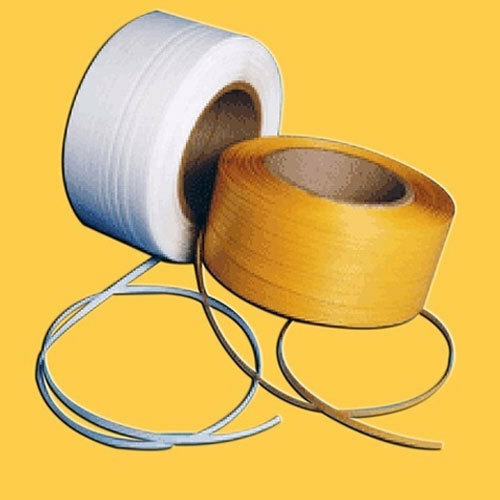 These strapping are available in dimensions of 6 mm to 15 mm width of minimum 0.50 mm.